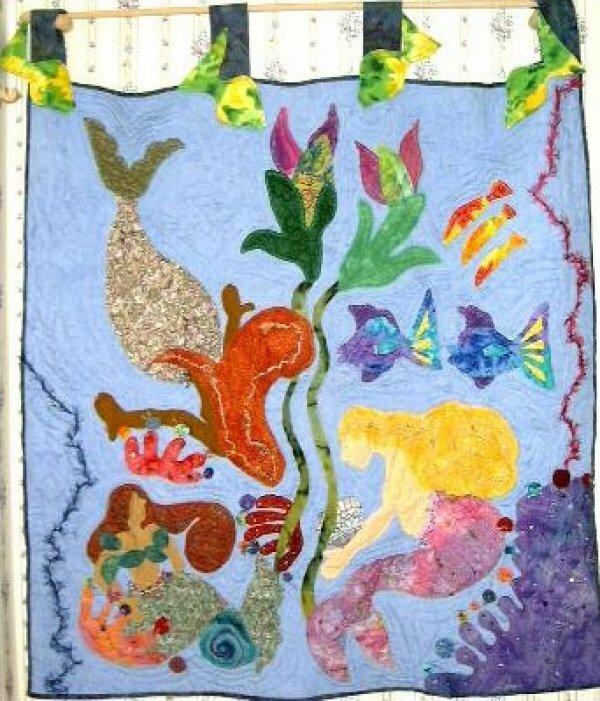 This is a fun mermaid quilt for all sea lovers. It is great for beads, trims and embellishments. The more dimensional the better!!! Great use for yoyos.